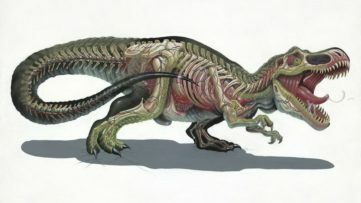 Fan of the Eerie? These Artworks Are For You! The fascination with the supernatural, strange and bizarre has been present in visual arts for a very long time. The source of inspiration came mostly from mythological narratives inherited from the past, which was further extended in the 19th-century Gothic literature and the general interest of the bourgeoisie for the esoteric and the occult. It is important to mention that eerie representations became increasingly present with the rise of Surrealism during the 1920s, when the subconsciousness, automatic writing, and irrationality were explored. That heritage was continued with the Low Brow movement during the 1970s and still is present in the works of many artists. For this particular edition of collectors tip, we selected eleven exquisite eerie artworks which you can add to your collection right now.Featured image: Patrick Hugues – Homme au masque. All images courtesy of their respective galleries. 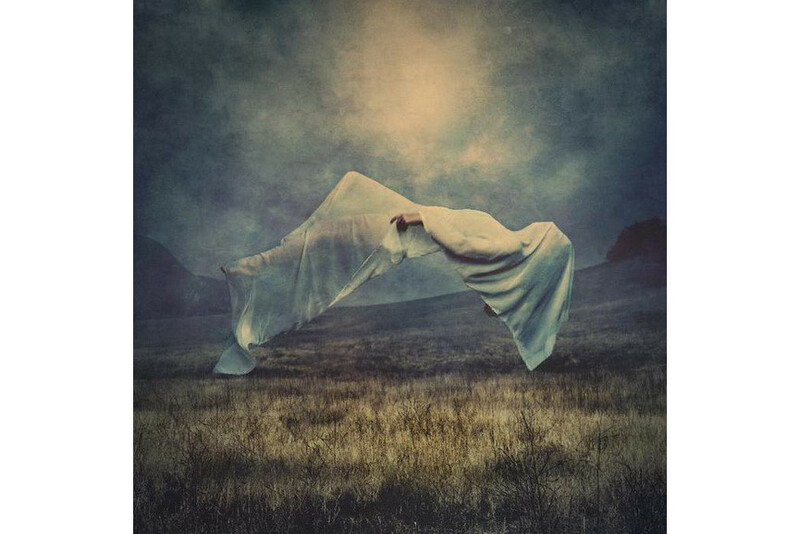 Brooke Shaden is a young American artist best known for her magical photographs through which she explores the extremes of human behavior. The main protagonist in all of her works is the artist herself, while the narratives are often inspired by the world of dreams, intense imagination and fear. Shaden’s work Liberation resembles the early 20th century daguerreotypes and it displays a female body in a state of bodily transcendence. The scene can be described as a resurrection, and the overall mysterious effect is achieved with the pale coloring and simple background. Following up is a graffiti artist/painter/illustrator Philip Bosmans, recognized for a peculiar and surreal aesthetic. He constructs fantasy worlds beyond our own in order to question our daily reality and presents human emotions such as grief or happiness. The artwork Leaving The Nest encapsulates Bosmans’ need to articulate the present moment from an eerie perspective. 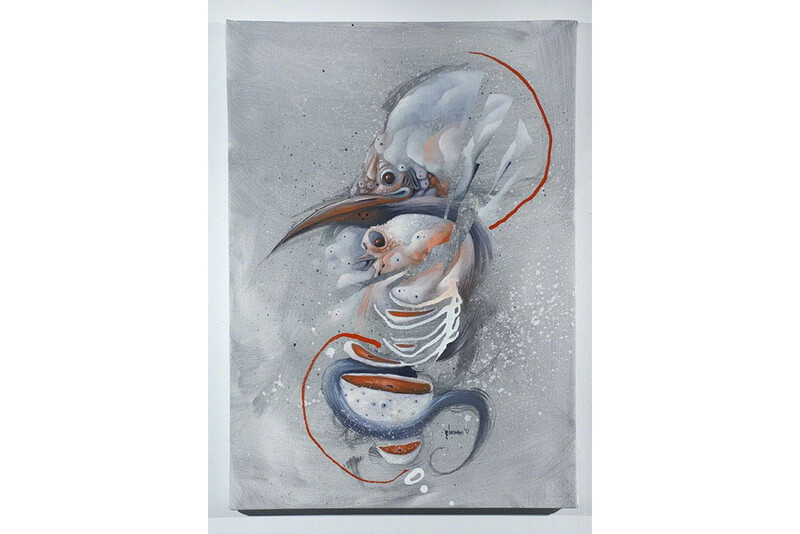 The heads of birds are showed detached of their bodies in a moment of possible disintegration or transformation set against a neutral grey background as if floating in a limbo. Agent X is the alias of a Vancouver based artist of mystery who expresses himself through paintings, multimedia collage art, and 2D artworks. He appropriates various references from fashion, popular culture, politics, etc. The final results are unique and multilayered collaged artworks which challenge the perspective of the observer. This artwork of peculiar title La Trice Mahogany Enters Callisto 7 Lounge is a distorted portrait of a woman as the prophet or clairvoyant in a deep cathartic state. 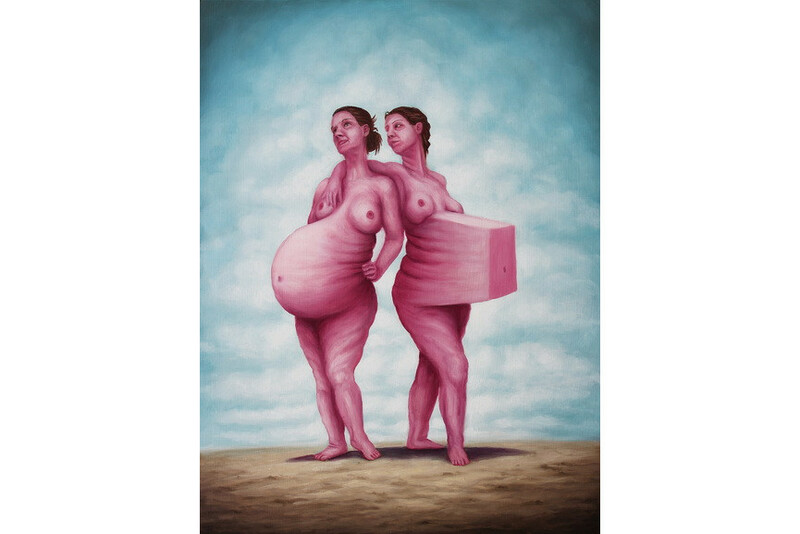 Bruno Pontiroli is a prolific contemporary surreal artist known for outstanding and highly imaginative works based on absurdity and paradoxes. 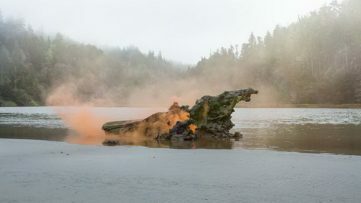 The worlds he creates are inhabited by strange, hybrid human bodies and can be perceived as dystopian visions through which Pontiroli speaks about our reality. 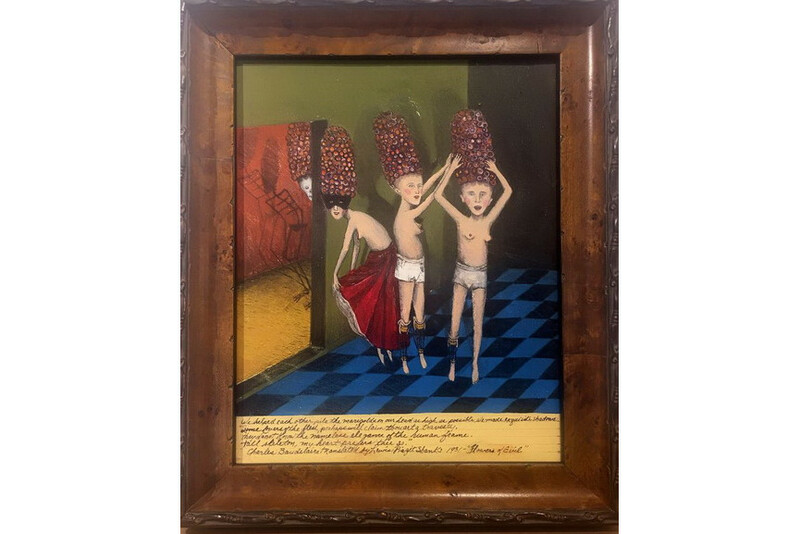 Jeux de Dames is a painting from 2015, and it shows two unusual female figures. By the look of their skin they seem old, yet they are pregnant and their bellies are geometrically shaped; they are the residents of tomorrow worlds in which anything is possible. 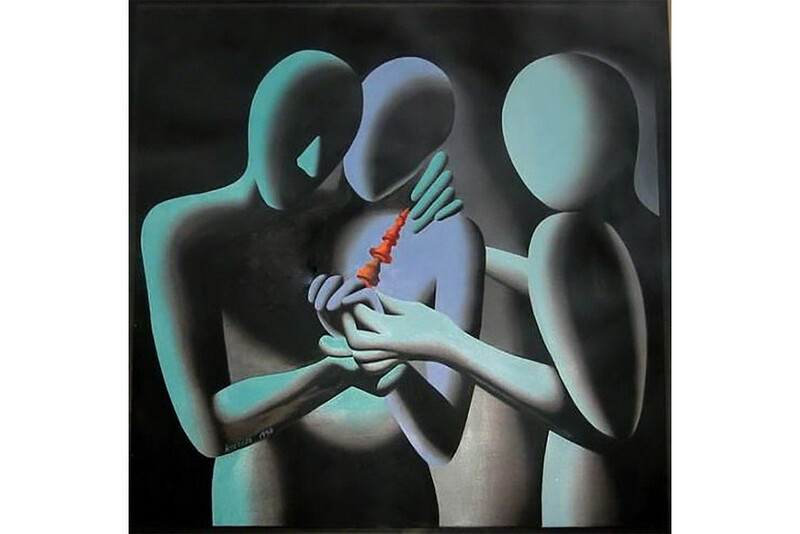 The next artist on our list is Mark Kostabi, best known for his paintings of faceless figures. His approach can be considered as socially and politically charged and his aesthetic is reminiscent of Fernand Léger and Giorgio de Chirico. 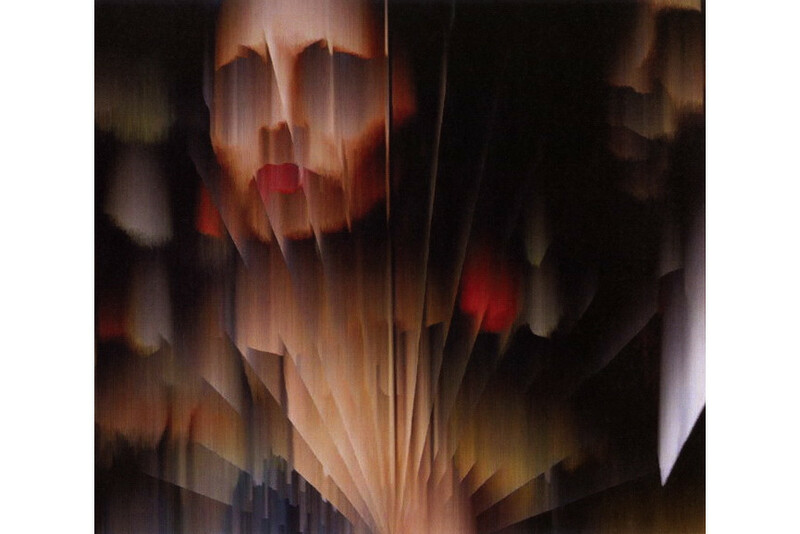 Kostabi is an established musician and commercially successful artist as well, who produced various album covers, brand designs, etc. His work With This I Present Thee from 1992 displays three mysterious, depersonalized figures gathered around the mysterious object resembling distaff of chess figurine. Sophisticated, elongated and slightly surreal figures are featured in the works of the sculptor Pierre Yermia. They are often without character, with massive torsos and are creating an impression of bespoke stature. Small and medium size works are practically prototypes of monumental ones. 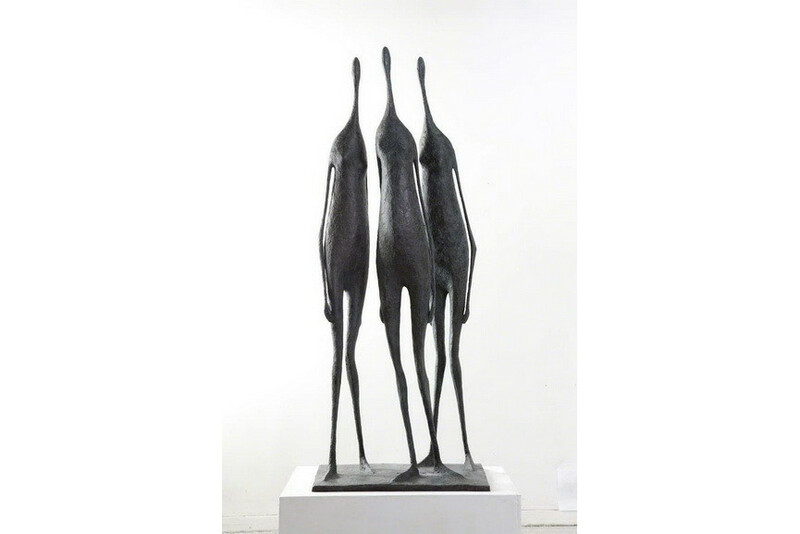 Yermia’s work Three Large Standing Figures I from 2013 is made of bronze and it illustrates really good all the stated above. Although the represented group seems dignified, at the same time it can be perceived as a phantom threat and serene testimony to humanity in permanent danger. The next on the list is the master of the genre and unmistakably one of the most important artists of the 20th century, Salvador Dali. Although his primary medium was painting, throughout his career this prolific figure experimented with various other techniques and formats. 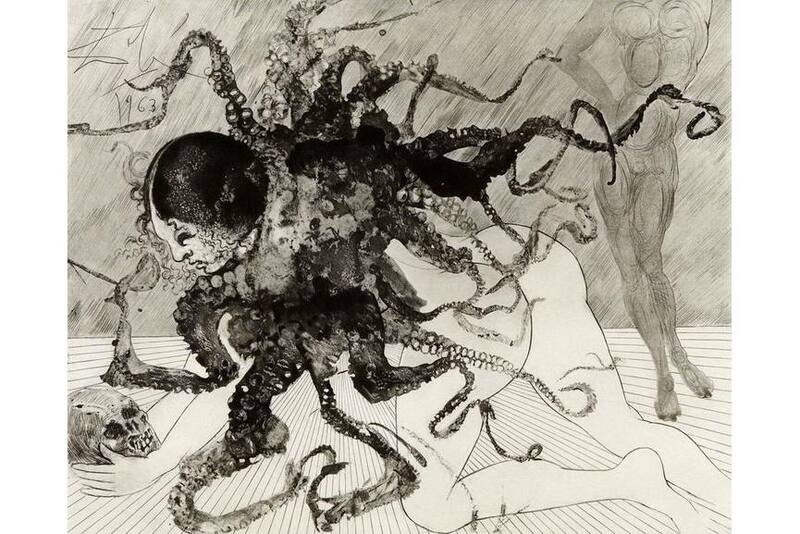 The work Medusa (La Meduse) is an etching produced in 1963. 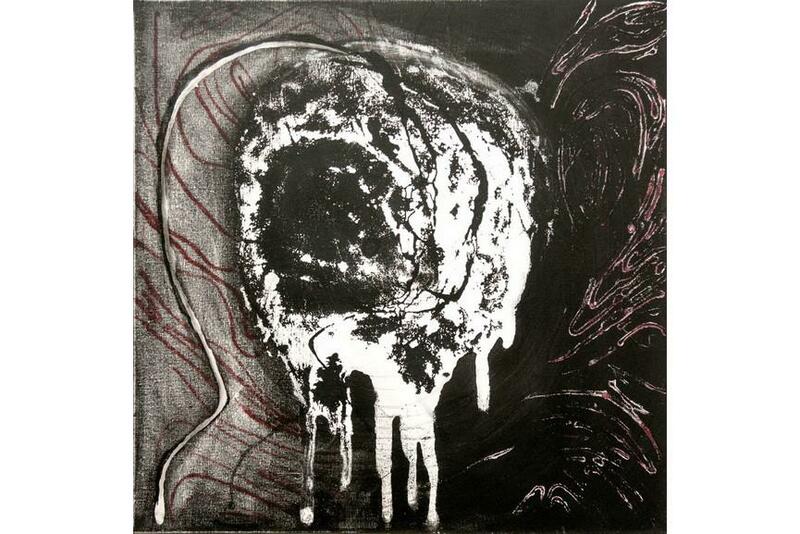 It is an interpretation of the iconic Medusa theme, and it depicts a hybrid body of a woman holding a skull. Franca Ravet is best known for delicate abstract works which follow a fascination with the hidden human feelings and sensations. 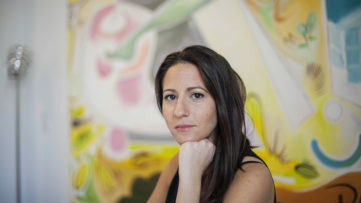 All of her works are based on transparency which is a starting point for the creative process, since she reflects the choice of the artist to erase or leave the traces of her creative process. The work titled Interieur was made in 2017, and it can be treated as a dreamy representation of the process of creation or perhaps the state of being; the composition is centered on an organic form resembling a human organ or perhaps even the womb. Jo Ellen Van Ouwerker‘s macabre aesthetic is reminiscent of the art of the late 19th century, and all of her narratives are played out by mostly female figures engaged in ritualistic scenes. Such is the case with the painting Danza Macabre from 2017. The artist interprets the famous medieval theme of the dance of death. The last but not the least on our list is French architect and artist Patrick Hughes. 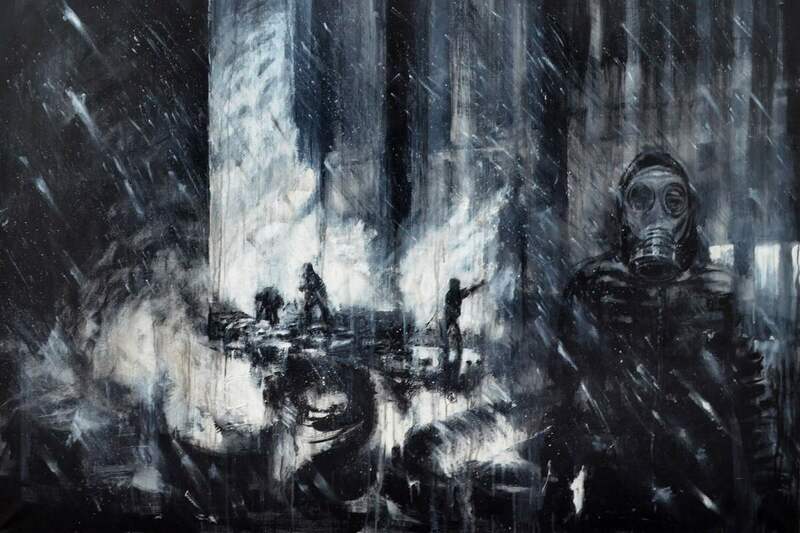 His works reflect an interest in desolate spaces of industrial sights, so his works are practically dystopian cityscapes. They depict a hopeless reality suffocated with violence and abruption. The apocalyptic visions of Hugues are a reminder of our near future and show how easily the whole civilization as we known it can turn into a complete chaos. The work Homme au Masque is a painting which perfectly illustrates all the stated above.